As expected, Tata Steel announced that it would be mothballing the 2 remaining steel plate mills in Scotland with the sad loss of 270 jobs. Let’s not forget the even bigger blow to Scunthorpe which is set to lose 900 jobs. These job losses bring the total in the UK to around 4500, or 15%, this year and it looks likely that more will go too. 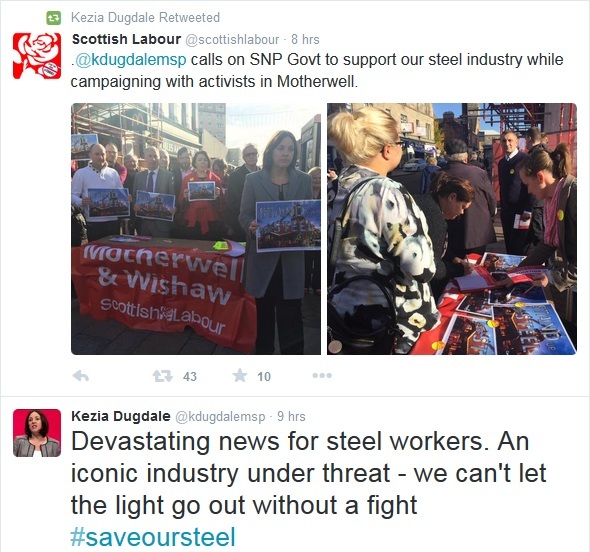 This announcement brings the Scottish steel industry to an end. The reasons cited by Tata Steel for the closures are the strength of the Pound, the cost of energy and the depressed cost of steel caused by China dumping their subsidised steel onto the global market. Let’s take a look at each one of these factors individually. So the UK economy is growing. That’s a good thing, right? 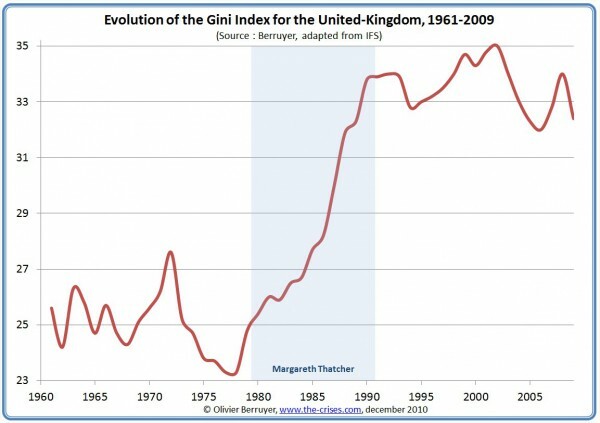 Well it would be if the benefits of this growth were shared equally, but as the second chart shows that is not the case. 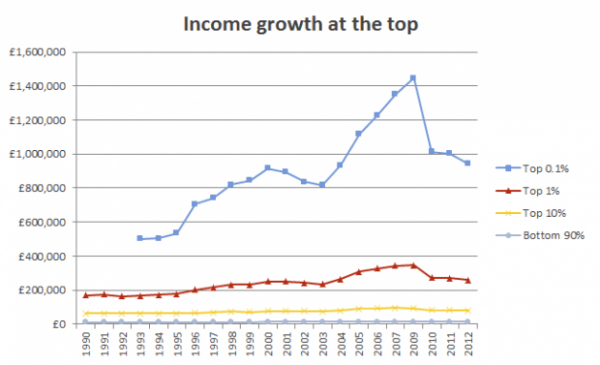 For in the UK it is the rich who benefit the most from growth, the rest of us don’t get a look in. Of course a strong Pound decreases the costs of imports, which makes us consume more, and gives our wonderful Chancellor of the Exchequer a chance to crow about his achievements. 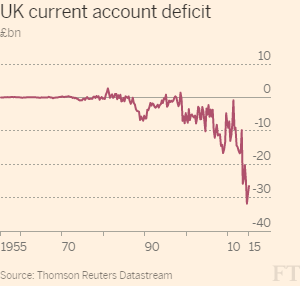 But the reality is that our current account deficit is the worst it’s ever been. So that means that inflation is bound to rise. All that free money sloshing around the world due to quantitative easing has to find a home somewhere, and the scent of higher interest rates here in the UK is sucking it in. In short, the prevailing conditions are not going to change any time soon so we can expect more of our manufacturing base to suffer. As we already know, Scotland pays the highest prices for electricity in the UK. In fact the further you are away from London and the SE England, the more you will pay. This is because of the transmission rates which are set by the monopoly of National Grid. So it’s no surprise that the steel mills in the North of England and Scotland pay through the nose for electricity. Something which OFGEM has deemed acceptable for years. Weak demand and over production has left China with a glut of steel. Although the Chinese government has ordered various steel mills to close they continue to operate, often at a loss. But this keeps the jobs in China, for once a steel mill closes it is very difficult to restart it. Which means that the worlds biggest steel producer keeps pumping the stuff out. Ukraine and Russia are also dumping steel onto the market for the same reasons. So three of the top 4 steel producing nations are preserving their production capacity and destroying the rest of the world’s capacity. But that’s OK isn’t it? We can buy steel cheap and so keep costs down? Steel is a commodity which is strategic by its very nature because it is required if you want to make things like tanks, guns and ships. If a country can lay its hands on the stuff easily it can therefore defend itself easily. But what if the UK has a bit of a tiff with the major steel producing nations, say a small spat over something like Syria? Then they could just say, “No steel for you.” Then where would we be? Other countries within the EU manage to preserve their steel industries, but here in the UK they are to be sacrificed on the neoliberal altar of the market. Without any strategic vision on the part of our government. Unusually, there has been no response from the Conservative and Unionist Party. I wonder why? But it just goes to show that the Unionist parties will use anything as a cosh to try to bash the SNP. Even when the fault lies squarely at the door of No.11 Downing Street. But I thought that we were Better Together? The jobs are in China and the powers are in Westminster. This entry was posted in UK and tagged China, closures, job losses, Scotland, Tata steel, UK on 20th October 2015 by the45. In what has become a worldwide joke, the BBC website has been ‘censored’ in China. There is no official reason from the Chinese authorities about the alleged censorship but there may be a clue here, I guess that the Chinese authorities are getting a bit miffed with the BBCs’ coverage of the protests in Hong Kong. Peter Horrocks, the BBC Global News director said, “The BBC provides impartial, trusted news to millions of people around the world, and attempts to censor our news services show just how important it is to get our accurate information to them.” Anybody who was alive and not in a coma during the recent Scottish Independence referendum may not agree with him. Indeed they may think that he is speaking a load of Horrocks. I wonder how “accurate” their news output was? My feeling is that it was probably completely biased and full of lies. As for trusting them, hahahaha. That’s a good one. In other news the BBC has been accused by the Iranian authorities of plotting to steal artistic, historical and cultural documents from the country’s archive centres, Tasnim news agency reported. Are the BBC licence payers paying for the theft of other countries’ treasures? We would like to know. This entry was posted in BBC and tagged BBC, censorship, China, Iran, theft on 16th October 2014 by the45.